An unprecedented salvage operation costing $800 million to recover a cruise liner that ran aground off the coast of southern Italy will go ahead Monday. 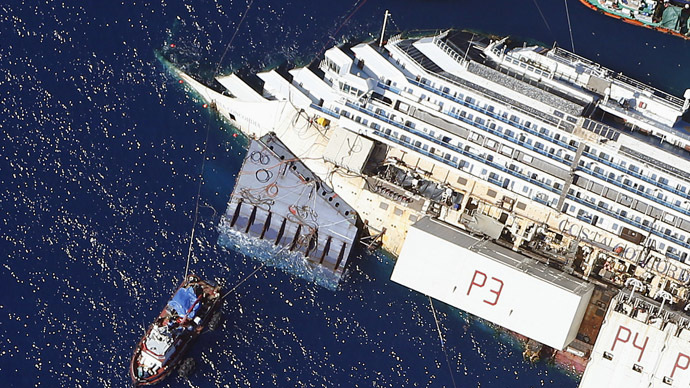 Cutting-edge engineering work is required to rescue the Costa Concordia, which ran aground off the island of Giglio on January 13, 2012, when the vessel struck a reef. Thirty passengers died in the incident, with another two still listed as missing. A total of 3,126 passengers and 1,023 crew members were on board the ship at the time. The designers and operators’ mission is very risky: there is a chance that the huge cruise ship will fall apart as it is rotated. The odds of success are 70 per cent, the salvage master in charge of the removal, Nick Sloane, told reporters Thursday. “The size of the ship and her location make this the most challenging salvage I’ve ever worked on,” he said. 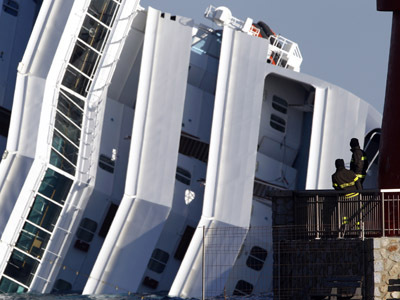 The cruise ship is to be rotated 65 degrees to a vertical position. To shift the center-of-gravity of the vessel, which is 300 meters long and weighs over 110,000 tons, engineers are set to fill tanks attached to the ship with water. They will stabilize the bow, with each tank 23 meters long and 20 meters high, weighing around 1,700 tons – equivalent in weight to more than seven times the US Statue of Liberty. More than 30,000 tons of steel have been used in the fabrication of all the components required to lift the ship. The entire rotation, known as parbuckling, will take as long as 12 hours and will be controlled and monitored by thousands of computers and gadgets that will ensure all the small parts of the ambitious operation, from activating the powerful jacks that will tilt the ship to processing the information delivered by the undersea robots. Extra precautions have been taken to ensure the success of the operation: for instance, two so-called “blister tanks” were fitted to the bow. 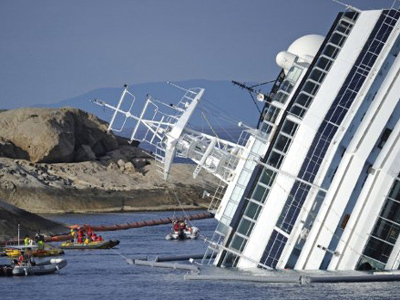 “We have left nothing to chance,” Franco Gabrielli, the Italian government’s deputy commissioner for the Costa Concordia emergency, said. Divers have placed hundreds of bags with cement under the vessel to protect it from breaking into pieces during the operation. The weight of those bags totals 18,000 tons. Ecologists have expressed concern that should the operation fail, the coast and the sea risk high levels of pollution. After the tragedy, divers tried to extract the fuel for months, and still, chemical substances and toxins from the decomposition of food and drinks, are on board the vessel. “Work of this scale has never been conducted. Like in everything we’ve done before, there are elements of uncertainty. 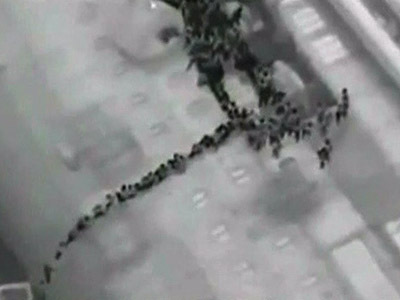 That’s why precise measures will be taken, judging the situation,” Gabrielli said. 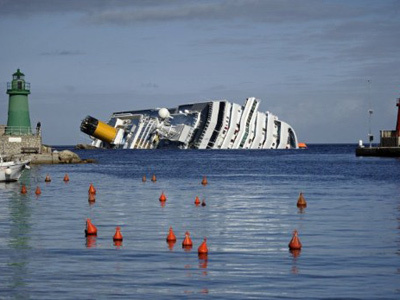 The ship’s captain, Francesco Schettino, is currently on trial for manslaughter and abandoning the vessel.